"News Quoyle, news. Better get your mojo working." A draft of this post has been loitering in my documents folder for a while. But six months on from when I gave some mojo apps a workout in Nigeria and in Georgia I’ve got a few more points to share about what a mobile phone offers journalists for field reporting. Maybe one of the reasons why I put this post on hold is that every other week a new app or gadget comes out that presents a tempting challenge for geeky inclined journalists to incorporate it into their kit and workflow. Trust me, once you’re hooked, it becomes an obsession – particularly if you have the chance to work with a decent smart phone. So, I’ll try to balance this post with some general practical points on getting started and list a few apps worthy of consideration for reporting with a mobile phone. Most smart phones now offer connectivity to the internet over 3G and WIFI networks as well as a camera with a good lens and sensor for digital photographs and high quality video in a palm-sized tool. So, when it comes to skills, if you start looking towards borrowing and adapting some basics of broadcasting, online journalism, blogging, video journalism and photography, you’re going to be on the right track for working out how you want to best use a mobile phone for reporting and incorporating it into your workflow. But as much as I get excited about new technology, new applications and gadgets, what I really want to do with all of this mobile tech goodness is to tell stories and engage with people. I really hope reporting with a mobile phone helps to push the boundaries and styles of multimedia reporting and doesn’t simply end up replicating traditional radio and TV reporting. I also think Andy Dickinson has some great training advice for newsrooms and journalists seeking to use new technology in their work – make time to play. Whether it’s uploading photos and videos of my travels or tweeting about burning tacos in the kitchen, I know how my gadgets work and have developed a workflow that suits me by learning through playing. You’ll be more agile as a mobile journalist if you know your way around the tools and the technology. The last thing you want to do on a breaking story is to be learning how to use your phone on the run. If your media organisation issues you with a smart phone and has innovative "Q" type tech boffins who have developed systems for you to upload your materials direct from the field with one push of a button, great – you’re lucky. But if you’re working independently, you’ll need to harness social media apps and platforms for sharing content that are free or low cost. So along with launching your own blog, some of these web and phone apps/clients would be a good starting point to explore. That’s only scratching the surface. For mobile blogging, many of the larger blog platforms also offer clients/applications to post content from a mobile phone and by email. And of course the Apple iTunes store offers an ever expanding galaxy of free and low cost iPhone apps that can be handy for mobile journalism. Read the manual. You’ve got to know your way around your phone’s settings. What’s the point in having a smart phone if you can’t change for example the access point settings to log onto wifi or 3G services? OK it might be tempting to just head on out and unleash your mojo-ninja-self on the world. But what are you really trying to do? What are your mobile reporting objectives? What materials do you need to file from the field with your mobile phone? Consider the conditions you’ll encounter. Will you have good wifi or 3G access? What will you do if the 3G network is a little slow? A little bit of planning can save a lot of flapping around. Where is your mojo content going? A one push application such as Shozu can distribute or crosspost your content to numerous social media and blogging platforms. Likewise posterous makes it dead easy to post any content by email. And don’t forget about harnessing RSS feeds from any of the social media platforms you use. For example, widgets are easy to build from RSS feeds. You can aggregate your live stream feeds and embed a widget into your blog. The quality of images produced by mobile phones is continuing to improve. For the past 18 months I’ve used a Nokia N82 that has a 5 megapixel camera. It’s fantastic to have a decent camera with me everywhere I go. Same goes for the iPhone 3GS. It only sports a 3 megapixel camera, but it’s more than adequate for photos in good lighting conditions. u’ll only produce good photos if you know the basics of photography. I cringe every time I hear about reporters handed a camera without any training and asked to "take a few pics for an online story". If you’re a beginner, a basic digital photography course is going to make a huge difference in the range of photos you will produce. And to build upon those new skills you need to get snap happy and take photos everyday. The camera in the phone may also have some unexpected yet useful features. Who would have thought that Nokia would include a time-lapse function in the Sequence mode? Certain situations may let you set up the phone to capture photos, video or audio while you go off somewhere else to gather more material with another device. In Nigeria I set up my phone in a hospital operating theatre to capture a time-lapse sequence while I interviewed patients outside with a audio flash recorder. Similarly to photos, the video quality of camera phones is constantly improving. Samsung’s Omnia HD offers… yep, HD video. If you’re new to video think about doing an introductory video camera course and turn to the skills and techniques of video journalists. It will surely whet your appetite for video blogging and/or using camcorders and pocket camcorders such as the Flip, Kodak Zi8 or iPod Nano, or even the video function on a compact digital camera. As for live streaming video from a mobile phone, that’s great when there’s action or for an interview, but try to think before shooting and avoid ‘hosing the garden’ with the camera. I think less is always more. If you have time, look around for interesting angles – plan your shoot or interview. Think about how your video and accompanying title and/or tweet can tell a story. It’s difficult to avoid camera shake with small camera phones, but if you require better quality video use a small tripod with an adapter to hold a mobile phone. You can even build your own tripod for an iPhone. Sounds simple but setting a title, description and #hashtag will help the material you upload or live stream to cut through the noise when you crosspost to a platform such as Twitter. It’s easy to forget when you’re on the run. If I’m planning to stream live video I usually set a generic title just in case I have to start filming quickly. Radio journalists have long made use of the mobile phone to report live from the field or for filing reports. Apps such as Audioboo now offer journalists a powerful audio recording tool – produce an interview or report and publish it direct to the net with a photo. Along with interviews, I like making use of mobile audio applications when I’m moving between places. During the April demonstrations in Tbilisi I used Utterli. You can walk and talk and offer your audience updates while you’re on the move. And if you’re new to radio/audio, don’t forget it is a "visual" medium too. Describe what you see and paint a picture for your audience. If you’re using an iPhone, then straight away you have an advantage over many smart phones. The audio captured by the iPhone’s internal microphone (and even the native Apple Voice Memo app) is surprisingly good. The internal mic on a Nokia is not particularly good. Moreover, I find the audio recordings using the Nokia Voice Recorder app to be far from adequate and produce a really thin, tinny sound. If you use a S60 Nokia and need better sound I’d recommend downloading a free trial version of the Alon MP3 Dictaphone application. It offers a several settings to record in mp3 and WAV. Unfortunately the send function in Alon does not offer email, but if you locate the file via Nokia’s File Manager function you can email the file. But no matter what smart phone you’re using, audio will be improved using a good external microphone. 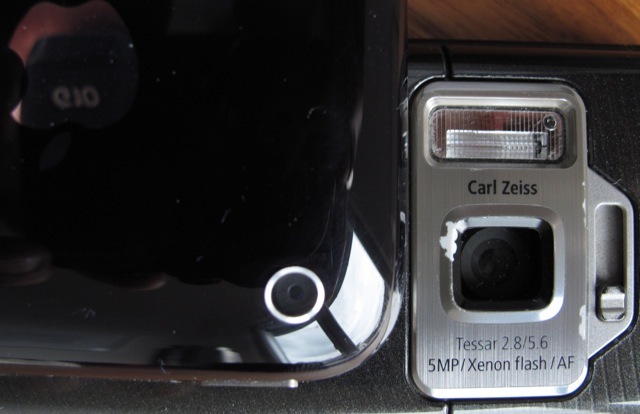 Reuters teamed up with Nokia for a mojo project that used an external mic with the Nokia N95. If you’re into a little DIY hacking you can quite easily adapt the TV-Out cable that comes with a Nokia for an external mic. For the iPhone there are several plug-in mini external mics available too. An audio editing application called Poddio is available for the iPhone. It’s an app that seemed to get a good rap at this year’s NAB. I’ve yet to try it. Since the middle of this year the price shot up from US$29.99 to US$149.99! Perhaps the developers might consider offering a trial version or lighter version? (Thanks to Stephen Quinn for pointing me to Poddio.) I can’t wait till someone develops Audacity for the iPhone. 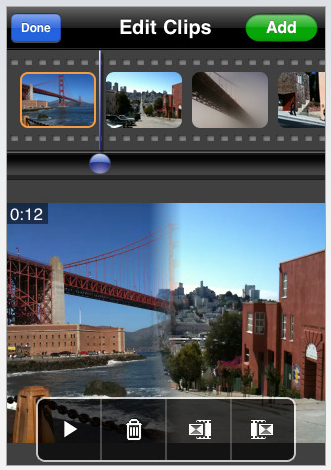 Basic video editing on a mobile phone has also arrived. The Samsung Omnia includes a Video Editor system and the iPhone can now make use of the ReelDirector application (screenshot below). ReelDirector has a straightforward timeline that lets you move clips around and offers a range of shot transitions. I had some fun filming simple shots and sequences on a day trip in Georgia this month and afterwards edited a short video on my iPhone in a Chinese restaurant. It has field reporting potential but you’ll need to plan carefully. Keep in mind, a video over say three minutes will leave you nudging 100MB. That’s a big file to move from a mobile phone and might leave you needing a mobile FTP solution… not too mention looking for more power. I’m also very keen to get my hands on the Samsung Omnia to explore its video editing features. 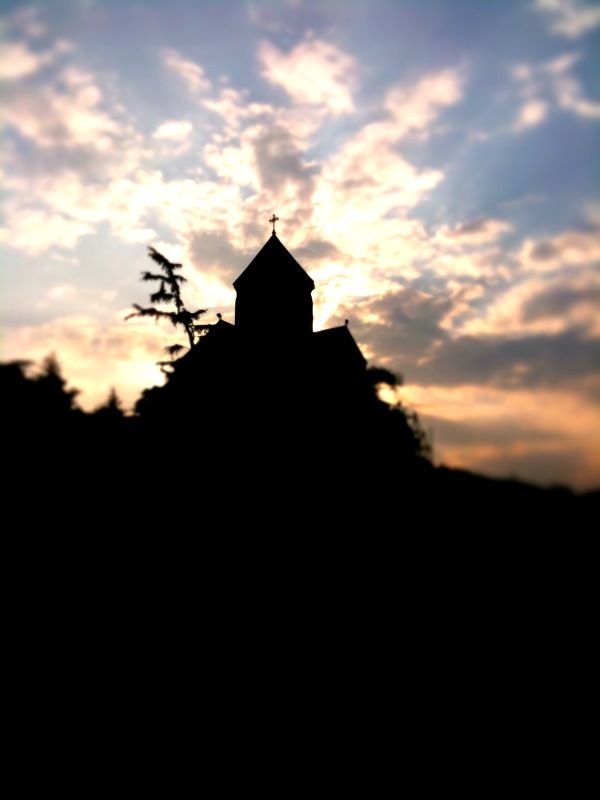 And photo editing is also going mobile with applications such as Best Camera and TiltShiftGen. Best Camera gives a mobile phone photographer several preset filters that you can apply directly to a photo. TiltShiftGen lets you go toy-town crazy to get the tilt-shift effect. tting is adjustable. I love being able to adjust saturation, brightness and contrast on the fly in a mobile phone. Both of these apps let you email your photos or post to Twitter and Twitter photo sharing clients such as Twitpic. Geo-tagging the content you produce and upload from a mobile phone can be really useful for mapping a story. If several field reporters covering the same event begin geo-tagging content, a map can become one the core ways of telling the story. Check out the GPS and map/location services on your phone and applications such as Flickr and Qik. Did someone say… Ushahidi? I think working with a mobile phone and having access to the net and apps such as Twitter is like having a tech partner in the field. As a freelancer I don’t feel like I’m working on my own anymore. My initial view of Twitter was that it was a handy micro-blog tool to complement my blog and way to let a lot of people know where I am (just in case of….) But that’s changed. I’m now communicating with friends, contacts and whoever else is interested in my story as I’m working. Even a basic Twitter search can be useful for real-time updates, but having access to extra filters via Twitterfall can make Twitter a more polished source of information – allowing you to pull in information that is more relevant to what you’re working on. As a minimum I carry a second battery and a small 5 euro AA battery charger. Looking for more charging ideas? Christian Payne aka @documentally has posted an excellent video covering loads of mobile power charging gadgets. In this post, I’ve only concentrated on capturing, producing and filing material with a mobile phone. Mobile journalism is obviously much broader when you add what you can produce with netbooks, laptops, 3G dongles, Eyefi cards, sat phones and whatever other hand held digital devices you want to mention. You’re only limited by the imagination. There are plenty of people exploring mobile journalism and here are a few projects/blogs to check out. – Alex Wood and the Berlin Project team will cover the anniversary of the fall of the Berlin Wall on November 9. I’m very interested to see how they’ll build upon their mobile coverage during the G20 demonstrations. – Stephen Quinn is a journalist and lecturer at Deakin University in Australia and has an excellent blog Global Mojo. I’m told that Stephen’s e-book on mobile journalism will be available soon. 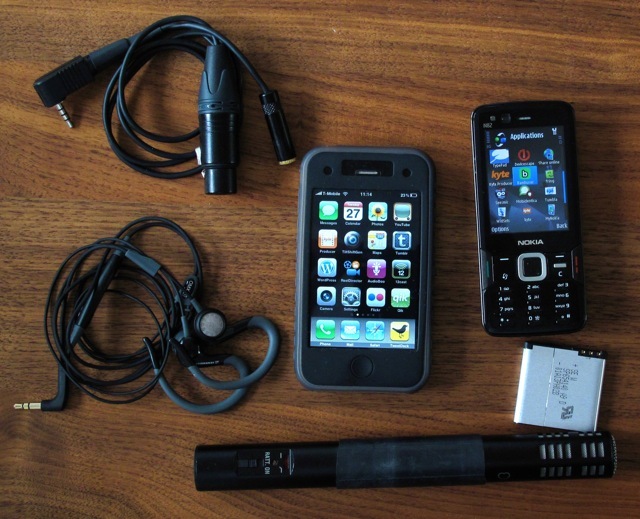 – Paul Bradshaw has also posted a series of video talks on his blog discussing mobile journalism and he has produced a list on what a mobile journalist needs. Great stuff. – Frank Barth-Nilsen is a Norwegian journalist with the public broadcaster NRK and blogs about all things mojo at Mojo Evolution. – @documentally. If you’re looking for more than just a little mobile journalism inspiration, have a look at Christian’s blog. Loads of innovative ways to use mobile phones and various other digital gadgets for telling great stories, and engaging with an audience. Always good. – Fellow Frontline Club blogger Onnik Krikorian is leading the mojo charge in Armenia – particularly covering stories with tweets, live streaming video and uploading photos and David Axe has experimented with a Nokia 95 and Qik in Chad. And no doubt we’ll see Frontline and KigaliWire’s Graham Holliday delivering content from Rwanda with a mobile phone.